The Byzantine Empire was once the most significant power in the Western world. In the 5th century AD, the Byzantine Empire emerged from the fragmented remains of the old Roman Empire and lasted for 1,000 years until the Ottoman Turks destroyed it in the 15th century. Because of that, many of the older lesser churches in the former Christian Empire now lies in ruins with little to no artworks remaining. Now archaeologists digging around the Byzantine ruins in Shivta, Israel has found what could be the oldest mural of Jesus Christ. 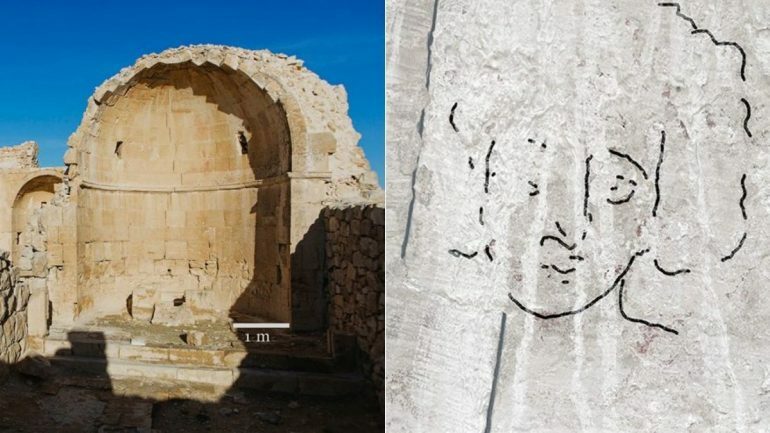 Emma Maayan-Fanar and her team have been excavating the ruins in Shivta when they found the poorly maintained mural for who they alleged is Christ, but a younger version that has short curly hair. “His face is right there, looking at us,” she said. With the team is her husband Dror Maayan, a professional photographer who took hi-res images of the eroded mural. The town of Shivta was a Byzantine farming community located in the Negev Desert in Israel. The town was active for 650 years and was home to three Byzantine churches. The town ‘s ruins were re-discovered in 1871 by Edward Henry Palmer, a 19th-century explorer and an expert in Orientalism. 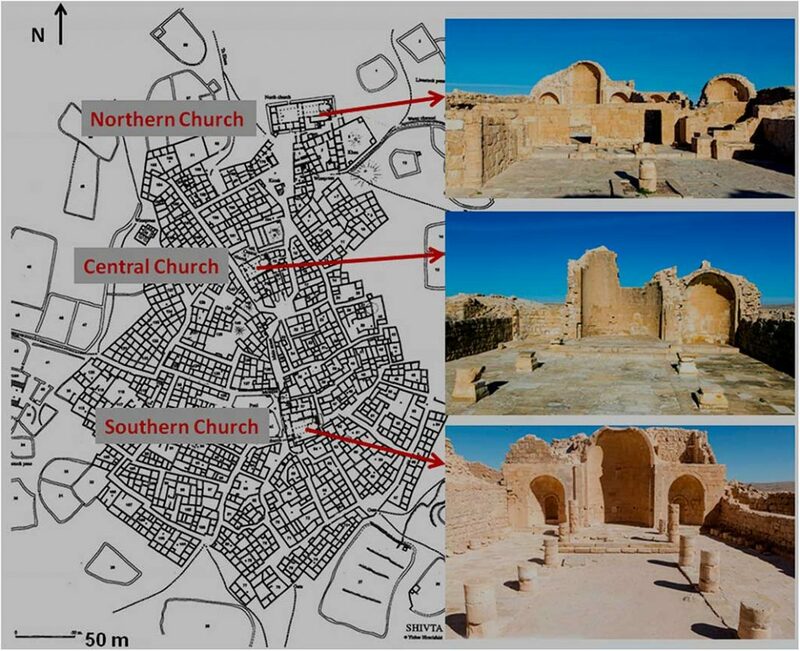 This community was by no means small: during the height of its importance, Shivta supported a vast population, which is why it had three churches as well as a mosque. Christians and Muslims mainly populate the town, and there is no indication that it had a significant Jewish population living in it despite being located in Israel. Archaeologists working in Shivta has noted that there are murals in ruins, with notes dating from the 1920s. But the information was not given any importance, and no efforts to investigate what these murals were and of whom was made until last year when another team of archaeologists working on Shivta has found a painting of Jesus’ transfiguration, but no one realized what it actually was until Maayan-Fanar’s team took a good look at it. The discovered mural of Christ is so severely damaged that it isn’t even noticeable until there’s an outline overlayed on the image. The pictures and findings were posted on Cambridge’s website with the title “Christ’s face revealed at Shivta: an Early Byzantine wall painting in the desert of the Holy Land”. As far as experts are concerned, this is “the first pre-iconoclastic baptism-of-Christ scene” to have been discovered in Israel. The life of Jesus Christ is a prevalent motif in Christian art. The most famous scenes of his life, his birth in the manger, his visit to the Temple, his baptism, his feeding of five thousand people, his walking over the sea, the Last Supper, and his Passion have been the subject of many artworks throughout history. Discovering this specific style of portraying Christ is essential in itself because it belonged to an iconographic scheme using a short-haired version of Christ, which was popular in Egypt and Syro-Palestine during the older Byzantine years, but was eventually replaced by the long-haired version years later. Many of the older works were also destroyed due to two periods of Byzantine Iconoclasm, and only a few images of Christ existed since antiquity. The earliest representation of Christ dated back to 233 and 256 AD and was found in Syria. The Bible never indeed described how the Christ looks like, so all of our knowledge about how he looks came from artists’ impression of him and from accounts that are kept within the church or old monasteries. This is the first discovered image of Christ that dated back before the Empire’s iconoclasm and located in Israel.